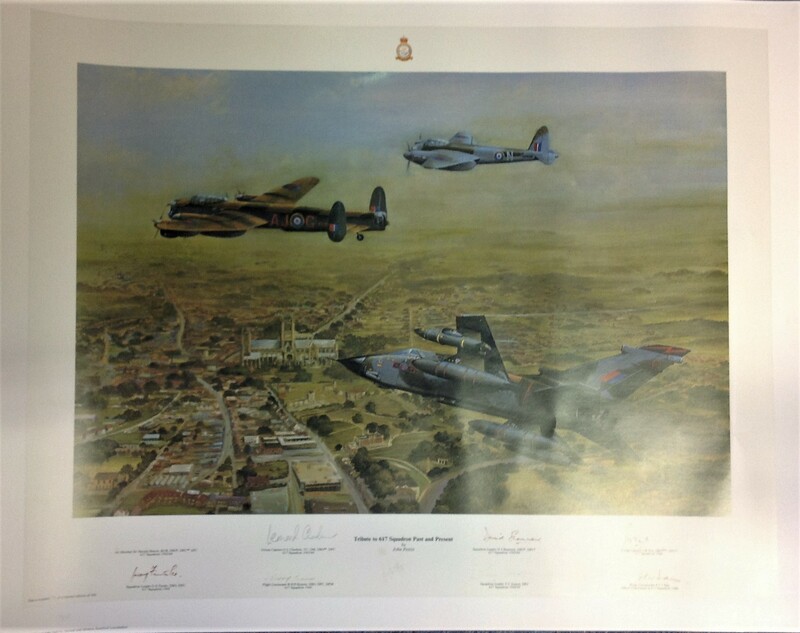 Dambuster World War Two print 24x30 titled Tribute to 617 Squadron Past and Present by the artist John Pettitt limited edition 54/500 signed by the artist and 8no 617 Squadron veterans including AM Sir Harold Martin, Sq Ldr G E Fawke, Gr Cpt Leonard Cheshire, Fl Lt R. S. D Kearns, Sq Ldr D. J Shannon, Sq Ldr T C Iverson, Grp Cpt J B Tait and WC P. J. J Day. From the collection of 617 Sqn aviation historian Jim Shortland. Good Condition. All signed pieces come with a Certificate of Authenticity. We combine postage on multiple winning lots and can ship worldwide. UK postage from £3.99, EU from £5.99, Rest of World from £7.99.